Buckle: you can choose flat sewn in or bent screw in, finish available are polished, brushed, and PVD. Thickness: approx. +/-5 mm for long piece and +/- 6.5mm average for short piece. 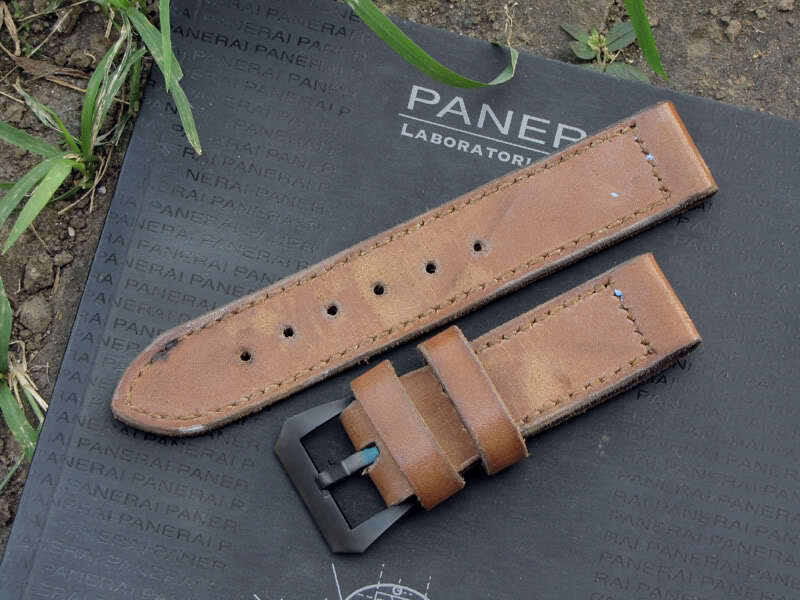 Style: Just like original vintage strap, made 1:1 from the original strap, please read the story about this project here. Availability of material: ran out of material.